I had a macular pucker peel procedure done on my left eye. This is my experience. Some surgical procedures are still so new that it is difficult to find enough information on the Internet about them. Such is the case with the macular pucker peel procedure, which has been performed only since about the mid-1990s. I have just had this procedure done on my left eye, and I hope that what I write will help others who are contemplating the surgery. A macular pucker, also known as an epiretinal membrane, often occurs as part of the aging process, but sometimes it can be caused by previous trauma, retinal detachment, diabetes, or post-vitreous detachment (PVD). The epiretinal membrane is scar tissue that forms over the macula, the area of the retina responsible for central vision. The membrane creates traction on the retina, resulting in distortion, blurriness, or both. For some people, the distortion makes straight lines look wavy or crooked, and for others, the vision has a patchy quality. The visual impairment created by a macular pucker typically stops at the 20/60 level, but sometimes it can progress beyond that. If aided vision cannot be corrected to better than 20/40, surgery may be a possibility. The goal is to improve visual acuity, reduce some of the distortion, and possibly prevent permanent damage to the macula. If you already have a cataract formed in the eye with the epiretinal membrane, you need to be aware that the ERM peel surgery will very likely cause a worsening of your cataract. However, if your cataract is already pretty advanced, you may consider very strongly having the cataract removed before any retinal surgery. Your retinal surgeon has to look directly through your natural lens in order to do the surgery, and a cataract is cloudy and yellow enough to obstruct his view. In my case, it made better sense for me to have the cataract removed first, followed three months later by the ERM peel. If you take the same route, expect that your retinal specialist will have definite opinions on the type of intraocular lens you select to replace your natural lens. Some IOL’s will make the retinal surgeon’s field of view more uncertain and distorted. At the time of surgery, the patient is anesthetized, their eye dilated, and the surgeon inserts trochars and infusion cannulas directly into the eyeball. First the surgeon performs a vitrectomy, which is the removal of the vitreous humor from the eye. The vitreous is later replaced by a saline solution. Next, the surgeon places a special contact lense over the surface of the eye, giving him a window that he can look through in order to see the retina. With the aid of a high-powered microscope and special lighting, the surgeon takes tiny forceps and peels the epiretinal membrane from the macula. This usually takes about 30 minutes, but can take over an hour depending on the texture of the membrane. Most frequently, this surgery is performed using a topical anesthetic and light sedation. Some surgeons, like mine, will prefer to put the patient under general anesthesia. This eliminates the possibility of the patient moving during the delicate procedure. Do not assume that your procedure will go exactly the same as what you've read about on a retina surgeon's web site. When in doubt, ask your surgeon what his routine is. If your pre-operative screening involves doing blood work, an EKG, and a chest X-ray, you are most certainly going to be put under all the way. If you are under general anesthesia, most likely the surgical team will give you a nerve block as well. What Kind of Surgical Instruments? I had state-of-the-art surgery, using either 23 or 25-gauge needles. This means that my surgery was sutureless, and my incisions healed within a week. Within 7 days, all the redness, swelling, and bloodshot quality was gone from my eye, and you would never guess that I had surgery. If your surgeon is not using the most modern sutureless equipment, I would ask why not, and get a second opinion. 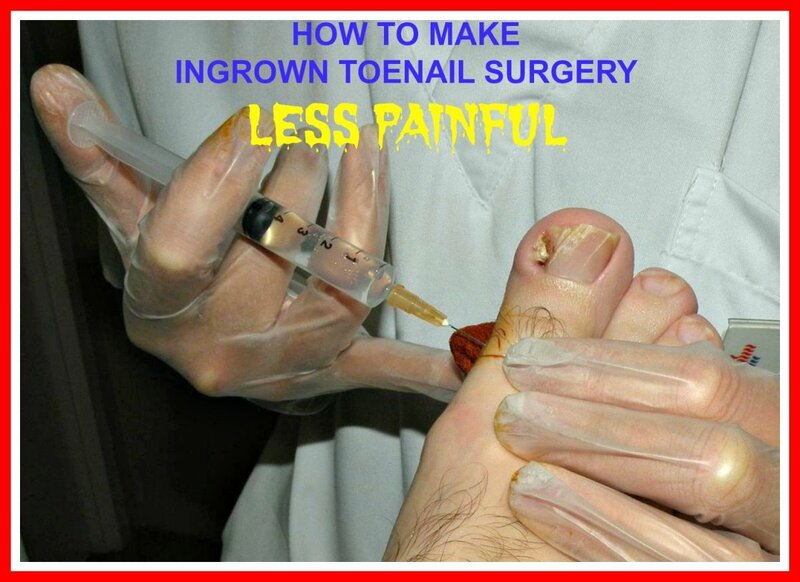 If there are no sutures, there is no post-operative pain, and the incisions heal much faster. But with sutures, you are likely to experience some pain, irritation, and grittiness for a while. It does take considerable skill to use the finest needles. 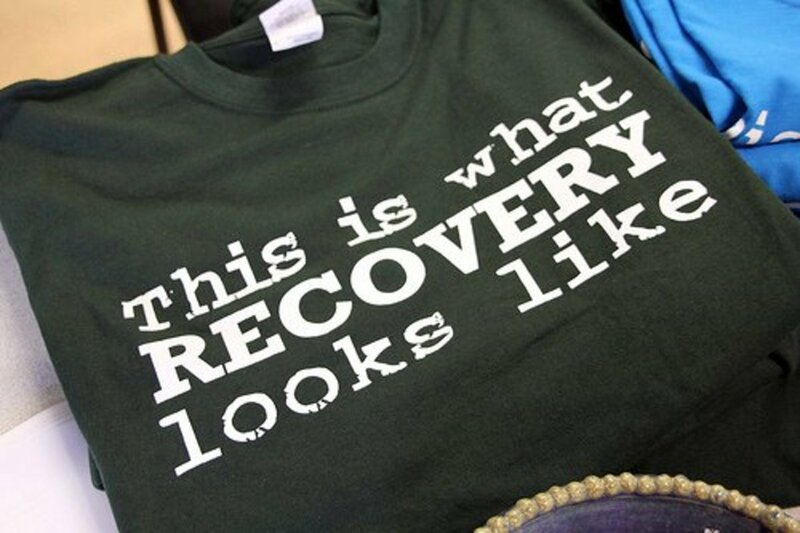 Think about the difference to your recovery and healing. There should be no need for your surgeon to inject a dye to stain the epiretinal membrane. Some of them might do it so they can see the membrane better, but there is always the possibility that such a dye could be toxic. When in doubt, ask. On your surgical consent form, you will see listed the possible use of a gas bubble in the patient’s eye. The most common reason this would occur is that the patient’s retina detached or tore during the procedure, which happens about 2% of the time. You need to know that a retinal detachment is one of the risks of this, or any, eye surgery. Very serious, but hopefully, it won’t happen to you. Another possible reason for a gas bubble is to insure against any damage which might have occurred during the surgery. Unexpectedly, my surgeon put a short-acting gas bubble in my eye. 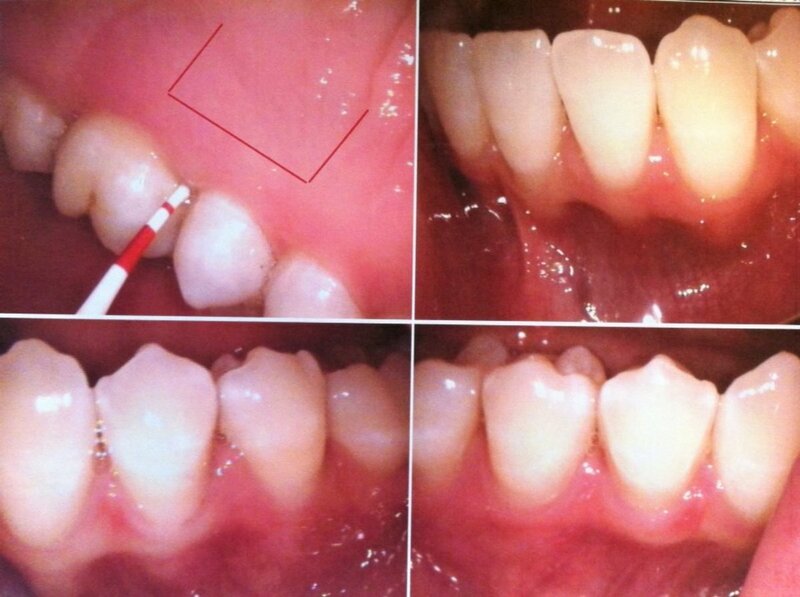 He made an on-the-spot decision to peel the ILM (inner limiting membrane) as well as the ERM. Based on what he saw, he could not be sure he did not leave a true macular hole, so he inserted the gas bubble as a precaution. Fortunately, after surgery, we found out that everything was OK.
Don't worry. This probably won't be necessary. The vast majority of patients get up, walk away, and have someone drive them home. That is the extent of what they do, and they take it easy for a couple of days. They can usually lie on their back, prepare meals, and drive a car after the first 24-hour follow-up visit. But those few patients with a gas bubble need to stay in the face-down position 90% of the time until the doctor says it’s OK to be upright. Since I had a gas bubble, I had to assume face-down positioning for 3 days only. The purpose of this is to exert just the right amount of pressure against your macula, which is located at the back of the eye. When the doctor determines that your macula is all right, he will give you your “get out of jail card.” It is dangerous NOT to do what he says, and you cannot fly in an airplane while you have the gas bubble. With a retinal detachment, the face-down positioning will be more strict, and might have to last for two weeks. Your vision with a gas bubble in your eye is like looking through a goldfish bowl. When you move, the liquid sloshes around in your eye, but in a matter of days, it goes down, and you can see over the bubble. Gradually it disappears (in my case, it took 10 days to go away). It’s good to be prepared for anything to happen. I was prepared, so I knew where to rent vitrectomy recovery equipment, and that such equipment may be covered by medical insurance. Try to be aware of any possibility, even if it seems unlikely to happen. Question your surgeon in detail about all of the inherent risks. Read more about what is involved with face-down recovery. There is not one standard outcome to be expected from this surgery. 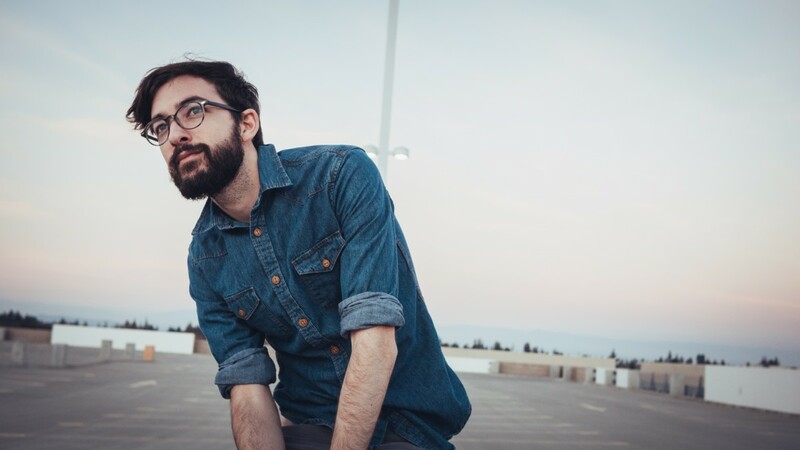 How much visual improvement you can expect depends on your healing capacity and the length of time the macular pucker has been present in your eye. This surgery is not like cataract or Lasik or PRK surgery, where the surgeon plugs numbers into a formula, trying to hit a refractive target for your vision. 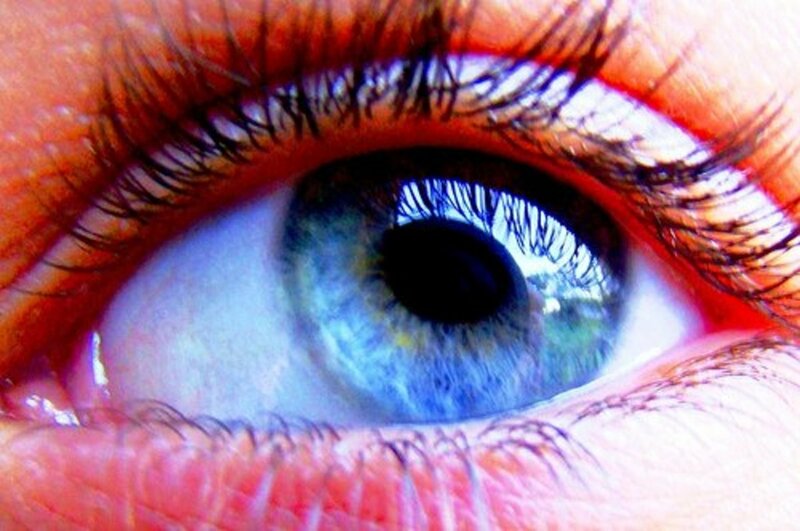 Everyone’s retina heals differently, and some retinas are more damaged than others. However, as a general rule, 85% of the people undergoing this procedure will get some improvement, typically about 2 lines on the eye chart. Another rule of thumb is that he/she will get back 50% of the vision that was lost. Some fortunate patients improve even beyond that and go back to 20/20 vision. My visual improvement was documented about 2.5 weeks after surgery. Before the surgery, my best corrected vision in my left eye was 20/40. At the 2.5 week point, it was 20/30. About 5 months after surgery, I could see 20/25 out of that eye. I do have some residual distortion. That's fairly typical. With a successful ERM peel, you will be seeing better through your visual distortion. I know that sounds strange, and none of your explanations will make sense to you or anyone else. Just accept that it's something of a paradox. I had one correspondent who had this surgery, and she said that, although she still has quite a bit of distortion, she can see better because "the central blurriness disappeared as well as the huge floaters and faded spots." After the surgery, there will be some lasting damage to your macula, however slight. 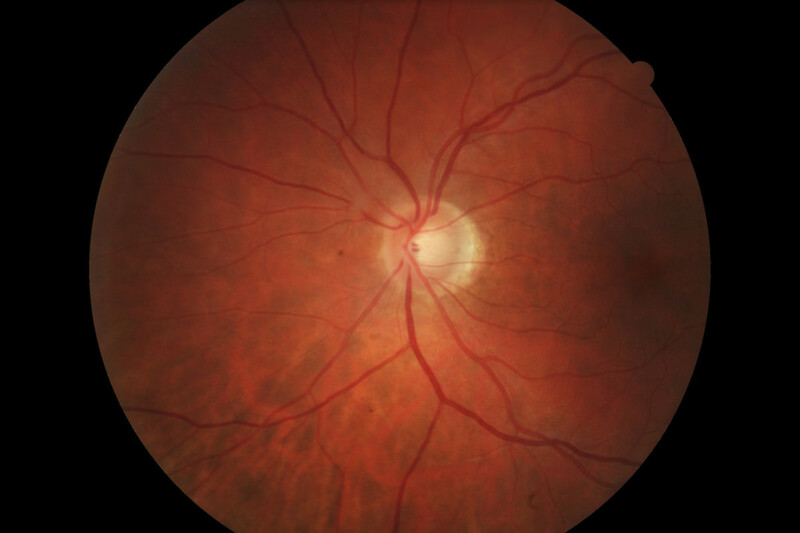 Two months after surgery, one of my ophthalmologists took a picture of the back of my eye, and let me have a look. The macula is supposed to be very regular and spherical. Mine looks like a spinach leaf that an insect decided to nibble on, and not finding it tasty, moved on to the next vegetable. I’ve begun to refer to the ERM peel surgery as “Peel and Hope.” Because that is all you can do. With a competent surgeon, you stand an excellent chance of an improvement in visual acuity. And having the surgery just might mean the difference between being able to pass the eye test at the Department of Motor Vehicles, and failing it. I am glad that I had the surgery. It takes 3 to 6 months for full healing to take place after an ERM peel. I believe the 20/25 aided vision I have now with my left eye is about as good as could be expected. The information in this article is not meant to diagnose or treat any disease. If you have any of the symptoms mentioned, consult your personal physician. Macular function and ultrastructure of the internal limiting membrane removed during surgery for idiopathic epiretinal membrane. Combined phacoemulsification and sutureless 23-gauge pars plana vitrectomy for complex vitreoretinal diseases. Outcomes of idiopathic macular epiretinal membrane removal with and without internal limiting membrane peeling: a comparative study. Is a Vitrectomy covered by insurance? It probably depends on what the vitrectomy is for; however in most cases, it would be. How soon can you exercise after macular pucker surgery? I wasn't given any restrictions after a few days. When I felt like exercising, I did. Are you glad you had a Vitrectomy it done considering the results you gained? Yes, and I would do it again. Why do I see curved lines in my vision after epiretinal surgery? I think I would ask your surgeon about this. Some surgeries are more successful than others. My Cataract Surgery at Age 35 . . . Wait, What? I am 18 months post op for ERM surgery and am very bothered by the distortion which I was not aware of prior. I also cannot tell if the vision is any better. I have trouble reading and the buildings are slightly concave when driving. I am wondering if the surgery caused this as my visual acuity was 20/25 before, now it is worse. I know the outcome is supposed to be better if you do the surgery early. My CMT foveal thickness score was 378 and it is around the same now. My surgeon has an excellent reputation and was able to do the cataract at the same time. Few can do that. I know this condition is permanent, and I am just wondering how to deal with it. I think most of the improvement is in the first few months. Does anyone know if it can still improve this much later? Thank you for your excellent article. I wish I would have seen it before I did the surgery. I guess most of these membranes can just be watched. I was however, closing that eye to read my phone in the morning, so something was not normal. I had macular pucker surgery 4 weeks ago (9/05/2017). I was awake during the surgery and had local anesthesia. During the surgery, I heard my doctor say that she couldn't remove all of the membrane which was left in the middle of my eye, now my central vision is blurry. I am seeing her in a couple of days for a follow up visit, hopefully, she'll have good news for me. Before the surgery, the doctor's scheduler was told by the same doctor that my surgery was very easy and I shouldn't be concerned of having any complications. The surgery was done within an hour. I didn't have any problems whatsoever after the surgery. Since part of the membrane was left in the middle of my retinal, I am wondering if it'll stay or go away eventually, also, my doctor didn't mention that she may not be able to remove all of the membrane (complete peeling of the membrane). When I look thru my eye, is like looking thru paper with holes in it and the lines are still wavy. My doctor, young, female, specializes in vitrectomy. Also teaches at UCSF and has a very impressive resume. She does several similar surgeries a week. I was surprised that my surgery was very easy with no complication, but I am concerned that I can see thru parts of the membrane which I shouldn't have. Has anyone experienced the same? I just saw my doctor for a follow up on my pucker, which I have had since 2002. In 2007 he suggested that I have a cataract surgery which made my acute vision 20/20. Since then, my acute vision has been fluctuating and today is 20/200. In Dec 2016 my vision was 20/100. I saw another retina specialist in March 2017, for a second opinion, my vision was 20/60. My retina doctor didn't think I should have the surgery as we don't know what the outcome will be because of my age. I am 81, my right eye and health are in good condition , I do not take any medication. My right eye gets tired after I read for 30-45 min. He said it is because of my age. He wants to see me in 3mo. I have been seeing him every 6mo for 10 yrs and he keeps telling me that my OCT shows no changes every time I see him. I cannot read with my left eye, but I can see fine looking all around me and at a distance. I am confused and do not know what to do. I would appreciate any suggestions you have for me. Both retina doctors told me it is an elective surgery and the decision is left up to me. Should I get a third opinion, or perhaps take a friend with me when I see the doctor? I read your article and I found it encouraging and informative. My doctor said he would not use gas, unless it is necessary. Sometimes the pucker will return, but I have no statistics on that. Most people will never have the surgery more than twice. There is too much risk of damage after that. There is a lot also that is dependent on what other eye conditions you may have (cataracts, etc.). Going with the best surgeon you can find is the best way to have a good outcome. Sorry for the delay in answering. I have no statistics of how often the problem might return. Most people will not have surgery more than twice in the affected eye -- too much risk of further damage. Yes, they can come back. Mine never did, and it's been nearly 7 years. In the aftermath of the surgery, I did everything possible to stay in good health. I believe it helped everything in my eye heal properly and more thoroughly. It's a good thought, and one's lifestyle and choices will be different from one person to the next. My retinal surgeon was also the best. Very important to have surgery with the best you can find. I just scheduled my surgery. I was surprised to read that this could return. Disappointed. How often does the pucker return? I was diagnosed 2.5 years ago and it was stable until lately. It makes reading difficult. After reading here, I'm wondering if I made a bad choice to have the surgery. I am 59.5 years of age and in generally good health. Any advice. Some seem so sorry they had the surgery. I wanted to update my progress. Unfortunately my scar tissue grew back three weeks after surgery. I had the same surgery yesterday to remove the scar tissue again. This time a shot of medicine was put in after removing scar tissue that is used for macular degeneration. This has been done in 4 similar cases with success. They also up'd the Prednisolone to 8 times per day instead of 4 times a day to hopefully deter the scar tissue. I had back to back surgery 5 days ago on left eye. I had 2 retina tears 4 years ago which were laser'd. They said it was probably the cause of scar tissue for the pucker. In three weeks my sight went from only missing bottom line on eye chart to only being able to read the top line of the chart. 1st day was cataract surgery followed by next day to fix retinal membrane pucker. Today is best day so far after surgery on eye redness and pain level. I did not need a gas bubble. I was told it would be 4 to 5 weeks before the blurriness would improve but I would not gain anything back lost prior to surgery. Still on drops until appointment on Wednesday this week. I will post periodically on my progress. I do have a smudge like a paint brush mark shaped like a quarter circle - wide at top moving to thin at bottom and will ask about it at next appointment. This has been a great site to find information on this procedure and what to expect since sometimes you do not know what to ask from the shock of being told you need the surgery. I had some swelling after 2nd surgery where my eye felt like a raw burning sensation Tylenol would not cut. The prior cataract surgery with the swelling of the eye after2nd surgery was irritated. They had to remove bandage, give me a numbing drop and put a contact lense on my eye which helped the pain immensely. Just mentioning incase someone else experiences to not be afraid to call dr. I did not want him to think I was a whimp. He did a follow up call post op to check on me and in discussion I found out this was not normal. He had me come in pronto. Hi, I am scheduled for surgery Aug 2, 2016. I have a cataract growing, epiretinal membrane & dry macular degeneration in my left eye (my rt eye has dry macular degeneration, also). Hi Prestor, please let us know if you find answers in further consultations with McPherson. I know one thing for sure, if you have a cataract, increasingly, you won't find your prescription adequate, and it will have to be tweaked. I was very surprised how fast the vision in my right eye changed (in three months or less) after the macular pucker surgery in the left eye. I've received another prescription for the surgical eye, & my total vision is much better; no longer out of balance. But still have the smudge in my lower eye. Would a cataract present as a smudge & affect only the bottom portion of an eye, I'm wondering? I'm afraid another surgeon will put me thru the same tests & send me to the optometrist HE works with, & the answers will be the same. Fortunately, the University of Wisconsin - Madison is home to the McPherson Eye Institute, which I'll be contacting in hopes of getting their opinion as to why I was left with this smudge since the "bubble" disappeared. Could it have been caused by the detached retina, the peel? If I find an answer, I'll surely post it here. Hmmm..... Another thing, Prestor, is you say you feel your eyes are "out-of-balance." Do you mean by this, that there is a difference in image size between your right and left eye? Or, is it just a smudge? I have seen a lot of forum postings (different forum, not HubPages) from one lady who had this problem, and how she went to more than one doctor and found a satisfactory solution. Just a thought. Hi Prestor, I agree about the problem of the division of labor between the vitre0-retinal surgeon and the optometrist or ophthalmologist. As for cataract diagnosis, I have found widely varying advice regarding this. One ophthalmologist said I didn't pass the required test to have it removed, the other said I did. Some of this may have to do with ObamaCare being implemented, buy maybe not. If you will excuse the pun, it is really eye-opening to visit MORE than one doctor when considering a cataract extraction. This is what I did. It also gives you leverage when discussing a cataract problem with a potential surgeon. Not that that helps you in any particular respect, but still, it can be valuable. Your account about the determination of the healing of your retina makes me wonder if you have more than one vitreo-retinal surgeon in your area, and can you get a second opinion about your vision from a more unbiased source? That is just a thought. Update to my June '14 macular pucker surgery. It is now 9 months since the surgery. From the time the bubble disappeared in July, I've been left w/a smudge in my line of vision & below (see my post below for the backstory). In July, the surgeon said that I needed to give the wound time to heal for the smudge to disappear. In Oct '15 I had another post-op w/the surgeon & I reported the same smudge. At this visit, he suggested that cataract is the reason & I should see my optometrist to make the final determination as to whether the cataract should be removed. I was actually happy to hear that it was cataract. What else could it be, was my naïve, uninformed reasoning. 2 weeks after the Oct visit w/the surgeon, the optometrist told me that I'm not yet a candidate for cataract removal. He changed my prescription in both eyes & my vision was better for about 2 months, yet I still had the same smudge & the prescription wasn't working w/the smudge (it never has). It's like looking thru a shot glass in the lower part of my eye. Over time, the vision in the surgical eye seemed to be getting worse, but as I was told in July by the surgeon, it needs times to heal. Slowly, since the Oct prescription change, my vision was going "out of balance." Everyday seemed to be worse. Went to my surgeon in early Feb '16, 2 months before my next scheduled visit which was supposed to be on April 21, '15. I just couldn't stand it anymore. He AGAIN told me it's the cataract & sent my optometrist orders for all kinds of tests, one of which was a vision field test. I left the surgeon's office, once again happy w/the cataract news. Surgeon also said the wound is completely healed; no need for further follow-ups w/him. Well you guessed it. After the optometrist conducted the tests in February '15, he told me it's not cataract causing the obstruction in my vision. The optometrist also mentioned that the surgical wound was healed fully back in Oct '14, as he looked at the scans from that time. It didn't set well that the surgeon knew I was fully healed in Oct & passed me off to the optometrist, but also wanted me back to see him again in April '15. The optometrist's conclusion is that I have an "unknown irregularity in my inferior vision." He gave me a new prescription for this lens only, to help "balance" my vision. The optometrist told me he could do nothing optically to correct this "unknown irregularity." As he explained it, the best film won't make a poor camera work any better. I see clearly if I shut my surgical eye. With both eyes, I'm still out of balance, but not as bad as before the Feb '15 prescription change. I'm fairly young (62) & have no other health issues. The pucker wasn't that far advanced, but I thought I better take care of it sooner rather than later. However, I ended up w/poorer vision as a result. I know this "irregularity" was caused by the surgery, as I didn't have it prior. This entire experience has taught me that there is a distinct division of labor between a retina surgeon & an optometrist. Why did the surgeon diagnose cataract 2 times, when he must have known it was not? Isn't the retina surgeon supposed to be light years beyond optometry? Needless to say, I'm not a fan of the macular pucker surgery or the system where the surgeon won't responsibility. Thanks, grace, for your response. It makes me feel a little better about this whole thing. I am truly sorry that you had a retinal detachment that had to be repaired. I would think your surgeon is being honest with you. Even with a simple cataract surgery, one of the refractive coordinators I spoke with said there was a difference in vision after one year. With my follow-ups seeing my retinal surgeon, I continually had the optical scans of my retina, and we continued to see improvement in swelling and inflammation at least 1.5 years later after surgery. I believe the proper diet and lifestyle will speed up this healing process. Had surgery 6 months ago (in early June) for retinal pucker. During surgery, retina detached & was fixed at that time. So, I had a vitrectomy w/a gas bubble. Bubble disappeared w/i 3 weeks. Since mid-July, I've had what seems like a smudge or shadow in my line of vision & below. Surgeon said this smudge is due to the fact that the surgical wound is still healing & is still swollen & could take 2 years to disappear. Logically, if the wound is healing, wouldn't the smudge/shadow also be dissipating? Has anyone experienced this smudge/shadow after this kind of surgery, & did it eventually disappear? Or is the surgeon hoping I'll disappear? before and after surgery.please reply me by my email. Great Article. Informative. Hope my ERM /vitrectomy goes without a hitch. Debbie, I am glad to hear that this hub was helpful. Thanks. I hope you will come back to report how you did. Thank you very, very, very much for sharing your vitrectomy experience. I am having this surgery next month and have been quite stressed about it after enduraning a complicated detached retina and 4 weeks of uncomfortable positioning last year. I feel much more confident hearing about the procedure and recovery in layman's terms. I am in my 40's and it is strange to think that after the vitrectomy, I will be on my way to needing cataract surgery in the near future. Still, thankful that something can be done to improve my rapidly deteriorating vision. Thanks again for sharing! That is an impressive improvement in such a short time. Please take care, as your eyes are still healing. Thank you for your report about having the dual surgeries on the same day. I am always interested in hearing about improvements in the treatment of this condition, and your report is very appreciated. Since my macular pucker surgery was done in a hospital, mine might have been more difficult to coordinate, since I doubt my cataract surgeon had O.R. privileges there. Still, I am glad things went so well on yours. My surgery was done on May 22nd 2014. It is now May 26, 2014 just after midnight. My report covers just 3 days post op. I am a man of 70 standing 6'2" and weighing 285. My uncorrected vision in both eyes was in the range of 20/400 but had been corrected to 20/20 to 20/25. My health is, at best, fair. I have diabetes, heart disease, sleep apnea and have had 3 back surgeries. Now to the good stuff. Over the past 18 months my vision in my left eye diminished to the point where my central vision no longer allowed me to read small print despite repeated new prescriptions and changes of glasses and my overall vision was less than 20/40 corrected in the left eye. I consulted with an opthamologist here in Seattle and she diagnosed Macular Pucker and cataracts. I knew about the cataracts prior to the exam but not the MP problem. While she herself does eye surgery (mostly pediatric) she referred me to a colleague at the Virginia Mason Hospital in Seattle that specialises in vitreoretinal surgery as well as another who is a opthamologist that specializes in cataract surgery. Both doctors saw me promptly and timed the appointments for the same day. They both suggested that a combined surgery be done. That meant first removal of the cataract under general anesthesia followed by removal of the MP. I had been thinking of having a Toric IOL inserted to correct my astigmatism. It was suggested that if that is what I wanted than two different surgeries rather than one would be their way to approach this as the cataract surgeon was concerned about precise placement of a toric lens in this dual procedure. A basic IOL would be a better choice he believed. It was agreed that in a few months time, when doing the right eye a toric lens would be a good choice. Since I've worn glasses since I was 5 years old, the idea of wearing them after surgery is not bothersome. The surgery went well 4 days ago. Sent home about 5 hours post surgery. Day one post op: mild irritation and eye was bandaged. Day 2 post op, follow up with the vitreoretinal surgeon who did a full exam, said the eye "looked good" and she peeled both layers but had found a small retinal tear which she repaired by freezing. She asked me if I could read any of the letters on the eye chart. I asked her, "what eye chart?" She said I could try using the eye at home if I wished. I wished, so I tried. The world from my left eye was one huge impressionist painting- a maple tree at best looked one blob of green maybe on a stick. Took a pain pill, mostly to prevent the onset of pain and went to sleep. Day 2 post op: significant improvement in my vision. Family took me for pizza, sat at table and could see all of them and recognise them sans glasses. No pain. Rested and slept. Day 3 post op: again, another great leap forward, seeing much better--far better than I'd thought I would at this point. Can't wait for morning and hope for more improvement. I had no bubble or gas, FYI. Here's what I learned via my research. Combined cataract and vitreoretinal (MP) surgery is often a very good idea. Data suggests it produces better vision outcomes than 2 separate surgeries (check it out), and one surgery is clearly easier on you than two. It is also very cost effective either for Medicare or private insurance companies. I'll post more as the days go by. Dbernac, from my research, one can have a particularly bad macular pucker in one eye. If there's one to form in the other eye, it's usually not near as bad. In fact, I have a tiny macular pucker in my right eye that has never caused any problems, and I've had it for a few years. It never seemed to get bigger. I think I'd be more concerned about the macular pucker re-appearing in the eye that was operated on. That does seem to be an issue, and sometimes the surgery has to be done again on the same eye. There is probably a limit on the number of times this can be done on the same eye. Free free to email me dbernacchi@gmail.com about this. My s0n had the MP and V surgury at age 17 in left eye. His vision was about 20/80 AND getting worse fast when he decided to do it. We know of no young men with this, do you? His eye is still not flat and is swollen affecting his central vision which measures 20/40, but on the the out edges he sees 20/20. And he is used to it, but can only read with his good eye. He suffers Ocular Migraines and loses his ability to read, and panics. But he scared to have a future M.Pucker with his right eye. What are the odds of that? He is so worried every time he has any issue or change in his vision. He fears not being able to read at all. Should he be learning Braille and how would he start doing that? Is there any forum for younger people with this? Dgj, thanks for your comments. I am very sorry to hear about the gas bubble not going away yet. There is no doubt that it is annoying. I'm wondering, has the bubble shrunk at all during the 44 days? I had a vitrectomy 44 days ago. I had a gas bubble. After 44 days it is still there. If I had known that this bubble would be so long lasting, I probably would not have agreed to this surgery. I had a pucker; therefore, surgery was not absolutely necessary. I just wanted everyone to know that the gas bubble can be long lasting and very debilitating. Sorry to hear about the post-operative pain. I had not heard of this being a problem before. Perhaps someone will add their own experiences about this. ggriggs, It is impossible for me to speculate about this. Sorry to hear about your experience. Dourgmccurrach, this is great news. I hope you have success in the long-term. I had a detached retina on June 26' 2008 followed by vitrectomy and scera buckle surgery. Regained vision with glasses and was finally comfortable in my surroundings after two years. July 30, 2010, another detached retina in the other eye. Immediate surgery, no buckle the next day. Healing well until loss of vision was discovered Oct.8, 2010. A macular pucker and hole were discovered. Surgery wasn't scheduled until Oct 14th, 8 days later. When in surgery, the Dr. Looked inside and commented on how the retina really came apart since last examined. I am now legally blind in that eye. Does anyone out there know if that eight day delay is the contributing factor to my blindness? The other surgeries were done immediately. This one was scheduled after my Dr's trip to Israel. Wordlum, sorry it took me so long to comment. I really hope that you do well with your follow-up. The vision improvement does take a bit of time. I am now six days post-op. The bubble is getting smaller, but not reducing as quickly as in the first three or four days. I assume this is normal. The smaller the bubble gets, the darker it gets, so I can imagine, Grace, when it gets much smaller that there will be a tendency to want to swat it. I have experienced that with a large floater I have in my good eye. I was concerned that my pupil was and is still quite dilated, but I see that one of the drops I use four times a day, Isopto-hyosine, is used to relax the eye muscles, which causes dilation. It is interesting that looking through the bubble is like looking through a magnifying glass -- vision at a distance is very blurred looking through the bubble, but I can hold my fingers just a few inches away from my eye and see quite clearly through the bubble, which is encouraging that my vision will be at least as good or better than before I had the surgery once the eye clears up. The vision in the rest of my eye is blurry and bright and streaky because of reflection from the bubble, and probably blurry because of the dilation. From what I have seen, I think the distortion will be improved even as soon as the eye clears up. I am presently using three drops four times a day at least until my next visit with my ophthalmologist -- Vigamox (antibiotic), Prednisolone (reduces inflamation); and Isopto-hyoscine (relaxes eye muscles). I also use an ointment at night before going to bed. My next visit with my ophthalmologist is in six days. Worldum, please feel to check back by. I'm sure your comments will be appreciated. That gas bubble caused me to want to swat at my eye, like something was in it. This too shall pass! Thanks for your response. It was quite reassuring. Actually not long after I wrote I could tell ever so slightly the way in which the bubble is going to decrease and I could see very slightly at the top. Today it is a little better and I now can see exactly how things are going to progress. I have an excellent doctor and of course he explained and I had read about what to expect, but I didn't know that the initial vision was going to be so poor. I will try to write some progress reports as I recover and hope that it may help some others who are recovering or thinking about having the surgery. Thanks again. In answer to your question, yes, your vision is supposed to be that bad with the gas bubble. Remember, I had one myself. It took 10 days before mine went away completely. It just keeps shrinking till it disappears. It will take probably 3 days or so before you can really see good over the gas bubble, as the level of the liquid goes down. It's annoying, I know. I hope this gives you some reassurance. The "break-even" point is different with every person. That's the point where you reach what your vision was before surgery, and my own was probably two weeks after surgery. You will continue to improve over a few months' time. I had macular pucker surgery yesterday, 11/14/2012, and saw the doctor today for followup. He said everything went well and all looks good today. I have a gas or air bubble in my left eye, and I see the sloshing around, etc. as I've read about and was told about. My only concern, and my question is, I really can't see very well at all out of the eye. I can barely count fingers. Is the vision supposed to be that bad? What has been your experience with vision the day or few days after surgery with the bubble? I know best results won't come for months, but when can I expect to get back to at least the vision I had before the surgery? Thanks. Because of a second cataract surgery about a year ago, I now see 20/20 at a distance. Great results. The eye that had the macular pucker still has some distortion, but my right eye compensates. I am very happy. I appreciate your very informative and well written article. I wonder if, since writing it more than a year ago, how things are going and what was the final result. Oakfront, thanks for your comments. Yes, it could take a while to determine how successful your son's surgery was. Good luck with this. Hi, i have just read your article very interesting thank you. My 9 year old son had macular membrane removal 3 days ago. It is the third opeation he has had in the past 11 months, the first operation August 2011 involved repairs to a detached retina and retinal tears, followed by cryotherapy. In January 2012 he had a cataract removed and new lens, but still had no significant vision to his left eye. 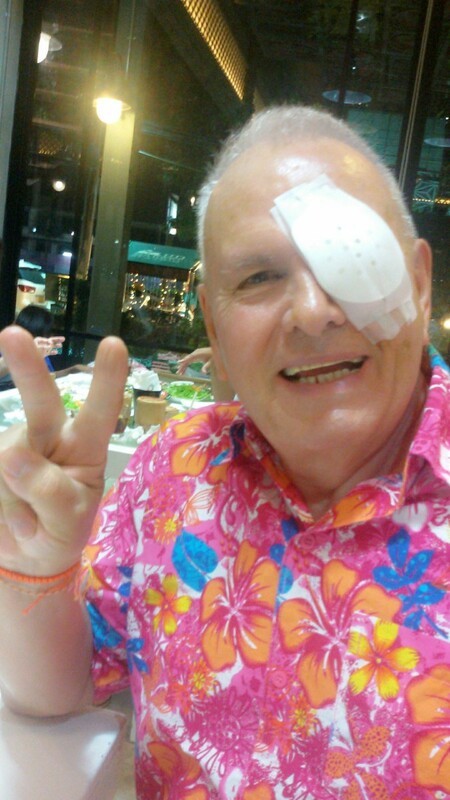 His third operation 3 days ago was to remove the scarring to the macular, he had a gas bubble inserted as well. As far as we know the procedure was a success in that his retina did not detach again. We have been told that it could take up to 12 months before we know how successful the operation is. Left eye : counting fingers with a vitreous hemorrhage on funds exam . On January 2011 , he was treated by 2 sessions of pan retinal photocoagulation in both eyes and 3 injections of Avastin in right eye with no amelioration instead we noticed a sever deterioration with a visual acuity dropping to less than 1/10 in both eyes . On November 2011 , right eye vitrectomy with macular epiretinal membrane peeling was done with no change in his visual acuity . Last fluorescent angiogram showed a sever retinal Ishemia in posterior pole and Periphery. Yasmina, I believe that you're going to see your best surgical outcome after about 6 months. I think my surgeon said that after that time, it is unlikely there will be further improvement. is it possible to take the results after motre than 6 month , do you think it may take abt one year ? Sal, this was very interesting, so thanks for your account. I really hope your gas bubble disappears soon. Thanks very much for this article. It always helps to hear about a first hand account of the process. I had a Vitrectomy on Jan 5th. The procedure like you said was a piece of cake. I was fully under anesthesia temporarily, then awoken during surgery but couldn't feel anything. I was actually able to see the instruments/light in my eye (was pretty cool actually). My vitrectomy was to repair an "optic pit" which I had forever. My retinal specialist finally recommended surgery after years of monitoring. It was getting worse, leaking fluid etc, so now was the time. Since Jan5th, I still have the gas bubble in my eye (albeit a little smaller now). I'm hoping it dissapears shortly. From what I can see past the bubble, it doesn't seem all that improved. It's as if I have a grey line passing through the center of my visual field. My peripheral vision seems clearer, but whatever I am looking directly at is blocked out to an extent. Hoping this improves over time after the gas bubble dissapears. Cath, thanks for adding some helpful information to this hub. I hope your retinal detachment repair goes well for you. It is encouraging to read about the improvement of your distorted vision. I'm glad you find it helpful. I don't know much about how aging affects outcome. This problem is more of an over-55 phenomenon anyway. I have heard of some very young people who have an epiretinal membrane, but you can bet that they have other medical problems or eye conditions that contributed to it, and probably their situation is worse than yours, in many respects. Healing rates do vary with the individual. Just discovered your forum, thanks! I had vitrectomy, ERM peeling and cataract extraction 3 weeks ago, but developed a retinal detachment the day after surgery. I'm having another vitrectomy tomorrow, with gas bubble and cryopexy (freezing). I'm told I'll have to stay upright for the two weeks! yes, even sleeping!. It's been a bit of a rocky road for me, it's good to know I'm not the only one! I'm in the UK, it seem that the combined cataract/vitrectomy/peel operation is done more often here. My condition was called, by various people: epiretinal membrane, macular pucker, cellophane maculopathy, retinal fibrosis. They are all terms for the same thing. I'd like to say that, despite the setback of the detachment (rare, I'm told!) I'm glad I had the surgery, because although there is still some distortion, I am able to see people's faces again, and they don't look like aliens any more! Fingers crossed the detachment repair goes well, If so I will have much better vision than before. Good luck to anyone else having the same thing...Prayers and good wishes. Thank you for posting all you have, there's not much stuff out there to read, and yours is very informative and reassuring. Thanks for the wonderful information. I'm taking my time to decide. Do you know if age affects outcome? Helen, thank you for this information. Wow, I've never heard of it referred to as premacular fibrosis before. I believe sometimes it is also called cellophane maculopathy. Looks like I have more information to add. If you read my article here, I stated that I had to go face-down for 3 days, which is uncommon with this surgery, but does happen. For what to expect with this positioning, visit my linked article just before the comments section here, called "Hints for Enduring Face-Down Recovery after a Vitrectomy". Because I had a gas bubble (don't get confused if your surgeon sometimes refers to it as an air bubble, because they're the same thing), I was required to be face-down. But I got the impression from some of the comments that I received that some patients only had to lie on their side, and I'm not sure why. Definitely pin down your doctor on this issue, because it is important. You need to know how strict the face-down positioning is likely to be. Mine wasn't that strict, and by that, I mean that about once per hour, I straightened up for 5 minutes or so, and stretched. In reading about the timing of the surgery, I have taken note that doctors say that the sooner the surgery is done, the better the chance for a good outcome, but I don't have the details on a citation from the literature. I'll try to find the research if you would like. I'm not an expert searcher, though :-). During my time as a medical librarian, I worked with the acquisition and organization of scientific journals, which is very important, but doesn't have the immediate feedback and timeliness needed by the library patrons. You can ask your doctor about this, but I would think that, if he is only projecting a 50/50 chance of a good outcome, you might want to take a little longer to decide. I corresponded with a fellow retinal patient about this very issue, and she still has the distortion, but she had other problems with the floaters and what she called "a big white blob", and she was very glad that she had the surgery, even though it was only partially successful. Some people, like this lady, are very relieved to be rid of all floaters, and that is one of the side benefits of having a vitrectomy. Some people are willing to take a gamble for greater success than what the doctor predicts. Only you know whether this is workable. I just went to my eye clinic's website and it says that Macular Pucker is another name for Premacular Fibrosis. I'm glad I checked. I'm in the right area after all. I've learned a lot here. And have a ton of questions to ask my doctor. Thank you! May I ask if surgery is successful if performed sooner rather than later? I'm wondering if I can put the decision for surgery off for a few months or if I need to decide soon. I'm sorry, the doctor kept using the term a pucker in the Macula, but said it was Premacula Fibrosis. He said he would use a gas bubble in the eye, and that generally the surgery is about 85% successful, but because there is a split in the Pucker it lowered the odds of a good outcome. It sounds very much like what you have described here, but I will also go to medhelp. I did learn a lot about gas bubbles here. Do you mind if I ask if you have to lay on a specific side of the body at night following surgery? It is my left eye. They tell me I will have to sit head down for a week. Although I don't know anything about macular fibrosis, you definitely have to consider carefully any surgical intervention involving the macula. I'd be curious what surgery your doctor is contemplating. Does it involve lasers, or what? For the kind of surgery that I had with the ERM peel, a surgeon is manually working with the macular tissue, so it does leave some damage behind, and usually, some lasting distortion. I'm of the opinion that you should visit http://www.medhelp.org in the eye care forums, and pose this question to an ophthalmologist. I have macular Fibrosis with a split in the macula. I've been given the option of surgery, but the doctor tell me it's only 50% effective. I have a question: If the surgery fails what will I be able to see, light, colors, shapes? Will I be able to see using my peripheral vision? Right now I can see out of the eye but everything is distorted. I need to know what I'm risking if I try the surgery and it fails. The doctor neither encouraged me to have the surgery but he didn't discourage me. I have a decision to make and want to be as informed as possible. Right now this is seriously affecting my life, but I'm not sure what the risk is if I have the operation and it fails. How will my vision be affected? Any information would be appreciated! Wayne, if you've had the macular pucker for that long and coped with it, no wonder the surgeon was non-committal about possible surgery. I'm amazed that your left eye compensates so well. I've read repeatedly in the literature that the macular pucker peel success is better if it's done sooner than later. But frankly, 20 years ago, the surgical peel procedure didn't even exist, and it wasn't even perfected or widely used until the mid 1990s or so. So you may have been at a disadvantage because you developed your ERM at a younger age. Now you know my opinion. Like everyone else, I thank you for putting together such a comprehensive article. I have had the macular pucker for at least 15 - 20 years, maybe longer. I did nothing about it because I could still see perfectly well as my left eye is fine. I think I was in my late thirties before I started wearing glasses for reading and now I also wear them for distance. I had a CDL licence until one year ago when I failed the Registry of Motor Vehicle eye exam, but I can still drive on a regular license. With my right eye, I can not even see what direction the biggest E is on the eye chart . I think I was told that eye is 20/400. My eyeglasses have a plain lens for that eye rather than what might have to be coke bottle thick. Four years ago a doctor recommended against surgery. I can't come up with a good reason to do it since now I can see fine with the other eye and there is no evidence of any problem with that good eye. I saw a new Optometrist yesterday who said he had never seen a cellophane ???? like mine so referred me to a retina specialist. I saw him one day later and I would say he was very non committal. Is my thinking that repairing the bad eye (with absolutely no guarantee that it will come with any success)only when and if the good eye is injured sound thinking or not? I know your answer will include talk it over with your Ophthalmologist, which I will have a chance to do in 6 months at my next check-up, but I value an outsiders opinion. Isabelle, if there aren't any complications with the surgeries (are they being done at the same time? ), you'll probably be able to drive and go back to work very soon afterward. The day after surgery you'll need to go back to the doctor's office for a check of your eye, and he might say that it is OK to return to work the next day. It all depends on how the surgery goes. And I hope it goes well for you. Thanks for this site. I am schedule for surgery for macular pucker + cataract next month. I am terrified (I am scared of any needle!). Anyway, my question is: I work on a computer all day long. How long do you think it will be after my surgery until I am able to work (and drive) again? Let me just say that having a macular hole is a more serious problem than having a macular pucker. And all I had was the pucker, so there was a better chance that I'd do well after surgery. Still, I will always have some distortion seeing out of my left eye, and if the pucker grows back, that will be a very difficult decision as to whether to have surgery a second time. I'd probably say "no" to that because of more macular damage that could happen during surgery. It's really impossible to say anything about your left eye without knowing you. I'm always aware of the things I write, and how it could affect readers, so I say, discuss this with your doctor. And if you're not satisfied with the answers, look for help on http://www.medhelp.org. I really like their eye care forum. I have learned a lot on there, and it's a forum that is monitored by qualified ophthalmologists. Best of luck, and thanks for your nice comments. I had a retinal hole surgery 4 years ago. It was very difficult post surgery time with the gas bubble and beeing with head dawn for 2 slid weeks which caused me painful sansation in my neck jow and even swalloing because of being face dawn for so long the gravity resulted in much discomfort. I wish I had your amazing article regarding retinal hole surgery prior to having it done. my problem is that I did not gain my sight . My Doctor said it is because my retinal hole was large and possibly old and I should be thankful that the hole itself is closed. The sight in this (R) eye is 20/200 after 4 years . I also had the cataract surgery one year after the retinal hole surgery, and with corrective eye glasses iI still see half of the images andas well as the imagaes are distorted like shifting in and out. I am so heart broken and scared as now my vision on the (L) eye is weaker despite havin had the cataract surgery on it as well about one year ago. Can you please offer me a glimps of hope? Thank you again for sharing your experience and knoldge. If you have been helped by the information I presented here, I am delighted. I wish your husband the best as the surgeon makes decisions about treatment. I don't think edema is that uncommon. I have heard of treating it with drugs before resorting to surgery. However, I can't speak from personal experience at all. Thank you so much for such good informative and detailed article - I have been doing a lot of research about this operation , my husband is scheduled to have it done in January . Your article is one of the best ones that I found and it gave me a lot of reassurance. My husband does not research or asked the doctor many questions- he just puts his entire trust on the doctor, but I have been worried about it because it is such a delicate operation where the skill of the doctor counts so much. One think that I have to ask the doctor who has been monitoring my husband for about 9 months and the last visit which was just yesterday he decided to schedule him for surgery right away because after looking at new picture of the macula he said that my husband had developed some edema so his condition had worsened- he then prescribed steroid drops 4x a day and some other kind of drops to bring the swelling down- but I have to ask the doctor that if the swelling goes down should he wait and continue monitoring the eye to see if it stays down in which case there should be no need for the surgery. Did you have any edema? Kevin, I am glad that my article was helpful. Good luck with your recovery. No doubt, this is the more realistic and helpful commentary concerning this procedure. I'm 5 days out from ERM. Thanks very much for the candor and optimism presented here. Thanks for coming by and commenting. Yes, indeed, those things do happen quickly -- especially with a cataract. And it does happen quite frequently that the cataract gets worse after the vitrectomy, for whatever reason. My vision improved after surgery, however Im having probs again with very blurred vision in the same eye. My optician says I have a Cataract which needs removal. I regret that I can't be more helpful. That is a question that only your doctor can answer. I forgot to mention that I have a small amount of blood inside my eye. Much like a drop of wine in the bottom of the glass. It moves around and leaves Trails. How is this blood going to disappear? I have a post op on wed. Should I be worried? You are correct. Most ERM surgeries do NOT require the face-down positioning. I included this information because, once in a while, it is necessary. How red your eye is depends on the way they did the surgery. The redness may remain longer in the eye for certain people, but not too long (certainly not longer than a few weeks at the most). My redness was gone in a week. Different people have different healing rates, as well. Yes, if you've got an air bubble in your eye, it's like looking through a fish bowl. That's very true. It's annoying, but it will go down each day. Hi i had my epiretinal membrane removed two days ago. they put air in my eye instead of gas. 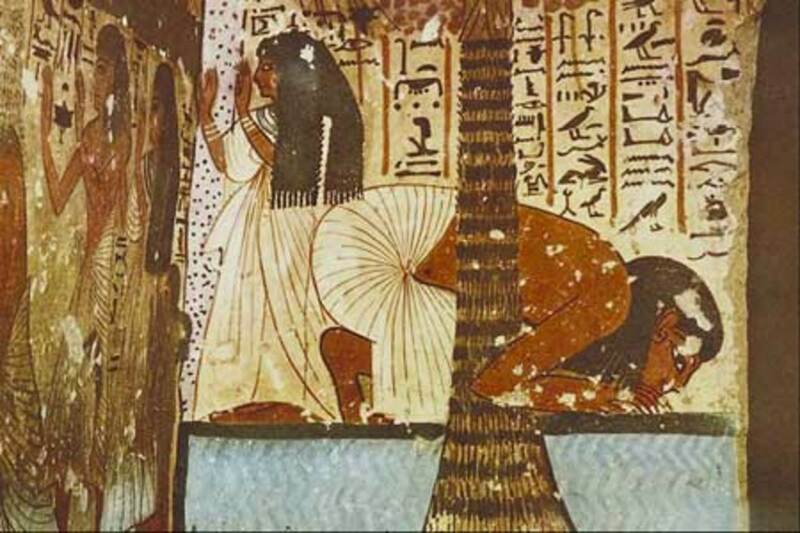 they never mentioned anything about being face down. they said sleep on your side the first day then don't worry about it. My eye is 80% red and i am looking through what looks like a thick bloody fish bowl. I will see the retina specialist today and ask more questions. Bromday costs over 100.00 Dollars, not inexpensive. I was told that there is some swelling. your eyesight will come back. Please go back to your doctor and tell him the symptons do not panic sometimes it takes a good few weeks for the eyesight to come back. do not forget there is a light at the end of the tunnel. I wish you all the best for the return of your vision. Sorry, I can't help with this, as I am not a doctor. Had a collapsed retina with macular detachment. Prior to surgery, I saw only darkness. 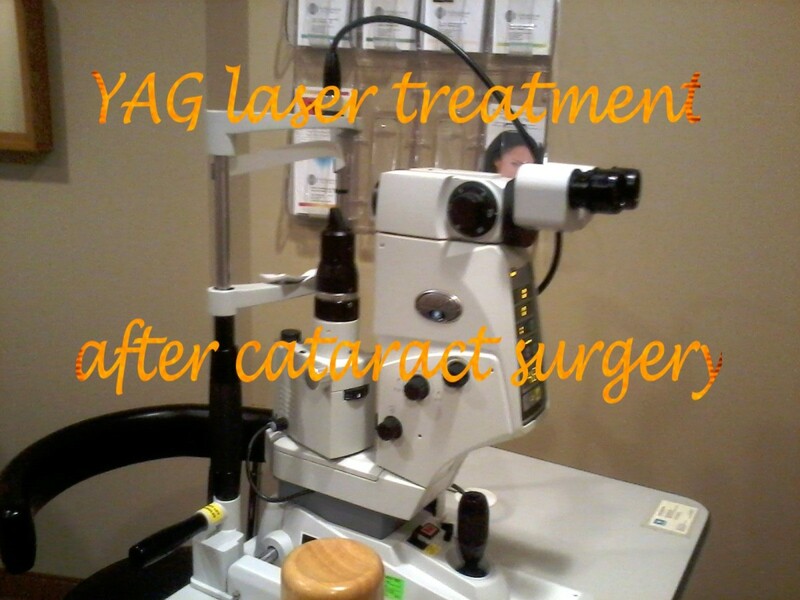 During surgery, scar tissue was removed, retina reattached, vitrectomy & gas bubble. Two days later and I still see nothing. I can detect so light. As if closing your eye and looking at a light bulb. Is there more going on that isn't being detected? Am I going to regain any sight? I have checked my favorite eye care forum for a discussion of Bromday (Bromfenac ophthalmic solution) and didn't find anything related to epiretinal membrane, only about glaucoma. Also, I checked PubMed, using the terms epiretinal membrane AND Bromday; also looked for macular pucker AND Bromday and still didn't find anything. Muldron, everything I have read says surgical results are better if it is operated on sooner than later. If you know you've had it for one year, you know more than I did when I had my surgery. Everyone's case is different, and some of the ERMs are kind of borderline. Everyone's case is different, and it may also depend on how much it bothers you. I actually have had macular puckers in both eyes. But the one in my right eye is very tiny and should be left alone. I would like to know if anyone had to use Bromday eye drops and if they helped. I have had a macular pucker in left eye for about a year and am thinking of undergoing the surery. I think you mentioned or I read that the sooner the surgery, the better the results may be. Is that true? Should I have it asap since it has been a year. And as a side, it seems like everyone who has written here has had the pucker in the left eye. Moonlake,thanks for commenting. I appreciate your taking the time to do this. Dee, let's hope that you heal well, and that your sight is better. It's always nice to be able to say that your retina specialist is great. Mine certainly is! I had a torn retina and had the gas bubble surg. I had a large tear and was to keep my face down two weeks. I healed in 7 days. I am still looking through the bubble but it is getting smaller. I still do not know how well I will see but I had the best Retina spec. So glad you were able to get your sight improved. I have MacTel and I have yet to find anyway of getting something done for it. I have to keep my left eye closed just to be able to read. So much good information on this hub. Carol, the way I understand it, the barometric pressure at the very high altitudes that commercial jets fly at changes suddenly -- so much so that a gas bubble could expand inside your eye. You have a natural pressure inside your eye that your ophthalmologist is always checking to make sure it is OK -- and if it gets off too much because of gas expanding, there could be a serious problem. I've also heard that doctors advise people with serious sinus infections not to fly, either, because of the pressure on the sinuses. Your doctor is the only person who knows how long the prohibition on flying is in effect. He will monitor the size of the bubble, and make a recommendation. I am really sorry to hear about your mother. I just had retina detachment surgery Thursday. The surgeon inserted gas in my eye which was no surprise to me because I have had 2 previous surgeries for the same thing. Could you please tell me why you cannot fly with the gas in your eye? My mother is dying in Texas and doctor said I can't fly for maybe a month. I'm not familiar with this drug. However, I will do some research and see what I find out. Thanks. I have ERM. My Optometrist told me to take Bromday and at the some time he told me that it only helps in 10% of cases.I took only the sample he gave me. Now I have a retina specalist and again he gave me a sample of Bromday and talking with the the nurse and the Pharmacist I will take Flurbripofen. Has anyone improved with Bromday? I am glad that your surgery went well. It's nice to get over the scary part. Thanks for your comment. Shaz, it is impossible to answer this question, since I've never had a retinal tear. I know that a retinal tear or detachment is a big surgery that takes a lot of time to recover from. This is something you should ask the doctor. I'm sorry that your son had to go through such a thing so young. I really hope the recovery and outlook for him are OK.
my 11 year old son had a 3 hour surgery on right eye as he had tear,doc used band,oil and gas bubble to repair,its been 2 weeks and he feels pressure when moving,is this normal? It is nice to see your comments here. Yes, I'm glad that I had the surgery, but it wasn't very much fun for me. I really hope that your procedure helps the vision in your left eye. Thanks again for stopping by. Reading your detailed entry about ERM surgery is a boost to put myself under this procedure too. I've got a serious handycap because my visual acuity on my left eye is around 0.16 (it is 20/125 on the chart used in the US). It is probably caused by RPD which I have since 3 years, however, the pucker has occurred only a few months ago. I am far from feeding any vast hopes about the procedure's effecttiveness in my case, but I am planning to share all my experiences about recovering from this deep. The guy who going to do the surgery is one of the most famous eye professionals in my country, this gives me some hope. The counterpart is that I already lost my vision with my right eye completely after a quick and unmanageable retinal detachment. Sorry that your mom had to endure the gas bubble. Yes, a gas bubble has dark edges. You can even see the outline of the bubble with your eye shut. For sure, after only 4 days, it's hard to see above the annoying gas bubble. It's like looking through a dirty goldfish bowl. Some bubbles take over two weeks or more to go down completely, although mine was gone in 10 days. It depends on what kind of gas bubble the surgeon installed. The visual acuity you'll have after this surgery is not evident at first. Everyone is different. I'm glad that you found this helpful.